It’s Tueday, Grayskullers, and you all know what that means…It’s not Monday anymore! Also the manly men will be back in the studio tonight. If any of you lovely listeners have a question or topic for us to discuss please send us a message on Facebook, Twitter or send an email to podcast@condograyskull.com. 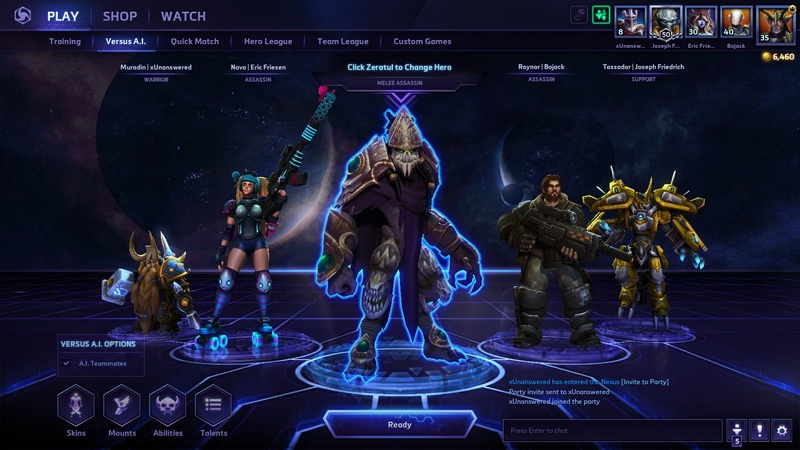 Here is screenshot from a Condo Grayskull Heroes of the Storm session last night with some of the members and fans. The first time we have ever had a full party of 5 together! Condo Grayskull Podcast 80 – Dungeons & Dragons Carl’s Jr.
Stay nerdy and stay dirty! In this week’s podcast we talk about the many things we do not like about ourselves and the things we do to get passed them. Thanks for listening! Thanks for tuning in to podcast 78! Remember to stay nerdy and stay dirty! In this week’s podcast we talk about things that we believe in that are not popular to the masses. Thanks for listening and enjoy! Thanks for tuning in. Stay nerdy and stay dirty!